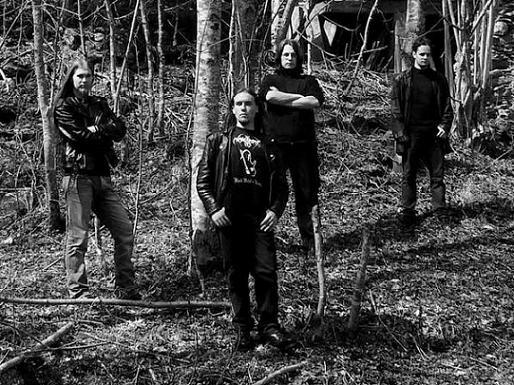 Mrtva Gosa (meaning »the dead forest«) was established, under the current line-up and style, in spring/summer 2005. 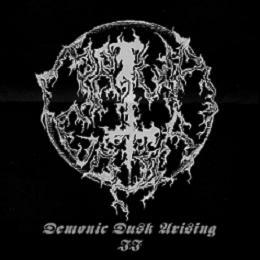 Up to date we have one demo tape named Demonic Dusk Arising II. Full-lenght album is in work for some time, promo album will -hopefully- be made when Garghuf returns from Norwegian fjords. Mrtva Gosa is a monument for things in passing, recreating, circling. Regret nothing, gain everything! Demonic Dusk Arising or undefined journey through Inner landscapes, beginning with suicide, is a monument of time and feelings in time-space, which created the sound of the Dusk. When emptiness of life’s essence both fulfills and denies one’s self’s inner image and believes, that person finds himself on a journey (for eternity?) towards the places of his own origins (in whatever form, time or mental progress they may exist). The Ancient Ones are one of such Origins. Archetypes if you want. They breathe in us, from us, towards us… To every individual they show themselves in a different form and speak to him or her through different images. Demonic Dusk arises in a form of distorted perception of time, space and thought. The Rise against the Nazarene is one of principles of Dusk… subjective… and dominant! “When one journey stops… another one begins!” The circling of life is independent of idea or fact of death and through this voyage within a form of beyond could and has been reached – on a level of time-space where a mere moment lasts for eternity… and where eternities seem as a fragment of a moment. Mythos is Dusk’s context and aftermath is a result of individual progresses towards Beyond the Within.